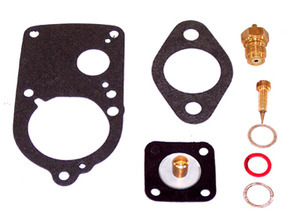 Mofoco EMPI 2355 Carburetor Tune-up Kit VW Type 1, 36HP (Ref. P/N:111-198-569C). EMPI 2355 Carburetor Tune-up Kit VW Type 1, 36HP (Ref. P/N:111-198-569C). Basic Volkswagen carburetor repair kits comes with floats and accelerator pump diaphram, needle/seat and all necessary o-rings & gaskets. EMPI 2355 Carburetor Tune-up Kit VW Type 1, 36HP (Ref. P/N:111-198-569C). Basic Volkswagen carburetor repair kits comes with floats and accelerator pump diaphram, needle/seat and all necessary o-rings & gaskets.